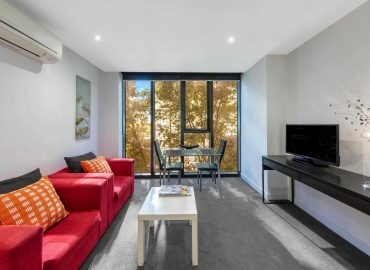 Looking for short stay Apartments in Melbourne? 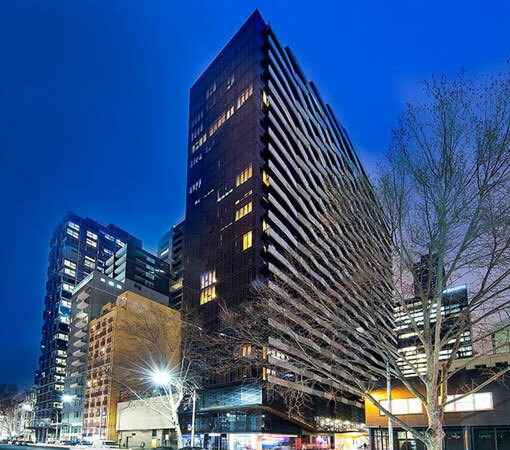 Aura on Flinders is a modern Serviced Apartment Hotel on Flinders Street, Melbourne. 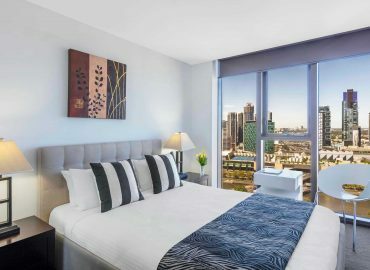 This collection of 90+ short stay serviced apartments is located across the river from Southbank, the Melbourne Convention and Exhibition Centre, and the Crown Casino entertainment complex, with all its elite restaurants, cinemas, bars and boutique shopping. Aura on Flinders offers both 1 and 2 bedroom standard and superior apartments featuring full kitchens and balconies with amazing city views. 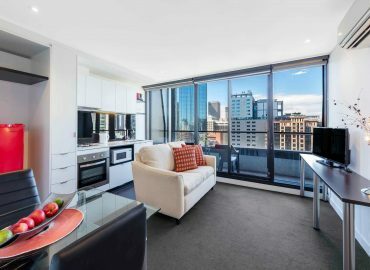 All apartments are suitable for both the business traveller and leisure guest looking for holiday apartments in Melbourne CBD. Our apartments come equipped with everything you will need for a very comfortable self-sufficient stay. There is a wealth of top city attractions within walking distance. All guests of our Melbourne CBD accommodation also have free access to our fitness centre, and parking is also available with a charge applied. All of our serviced apartments come with features, including a full kitchen with microwave, dishwasher and tea/coffee making facilities. All have a private bathroom, free WIFI a flatscreen TV with a DVD player on request, split system heating and air conditioner, a washing machine and a dryer. Our hotel is also proud to be among the few hotels with parking in Melbourne. Our deluxe 1 and 2 bedroom short stay accommodation apartments are available with a balcony, sweeping river views, smart TV and speaker system, free WIFI, a full kitchen with microwave, dishwasher and tea/coffee making facilities. All have a private bathroom, a split system heating and air conditioner, a washing machine and a dryer. 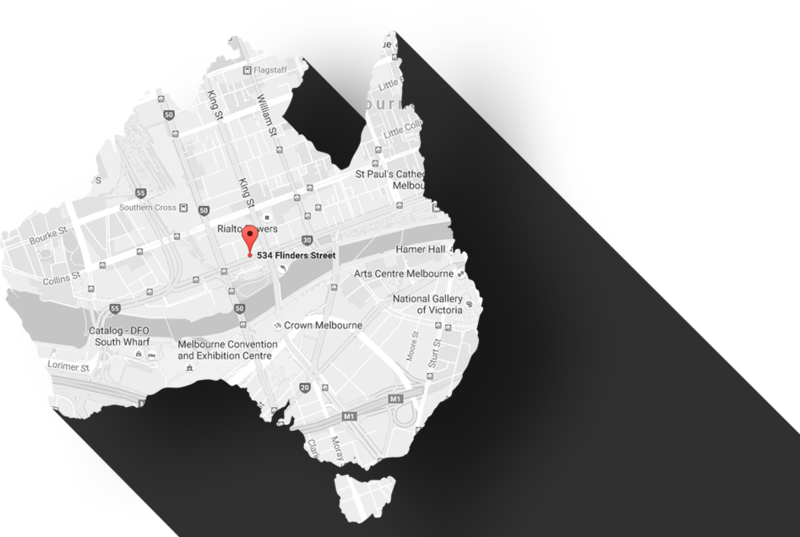 For more information on our holiday apartments in Melbourne CBD, please contact us. When it comes to location for Melbourne CBD accommodation, Flinders Street is prime real estate. 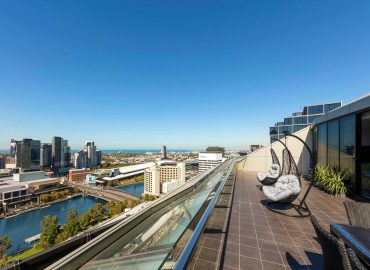 Overlooking the iconic Yarra River, Aura on Flinders accommodation is located a short stroll to Southern Cross Railway Station, across the road from the Melbourne Aquarium, and just a few minutes’ walk to the entertainment hub of the Crown Casino complex and the Melbourne Convention and Exhibition Centre. Other attractions near our accommodation in Melbourne CBD include the vibrant Southbank waterfront promenade, the Eureka Skydeck, and the shopper’s paradise of Bourke Street Mall, Collins Street and DFO at South Warf. Our short stay accommodation in Melbourne on Flinders Street is also situated within Melbourne’s Free Tram Zone, which gives easy access to world famous sporting arenas like the Melbourne Cricket Ground (MCG), Rod Laver Arena and Etihad Stadium. Albert Park Lake is also not far away, making our budget hotel in the CBD ideal for visitors to the Formula 1 Grand Prix. 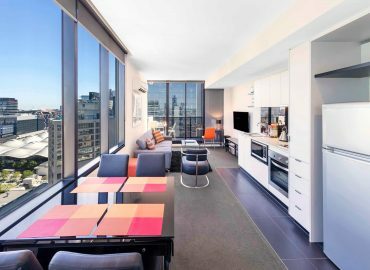 With convenient access to all the best entertainment, shopping, dining and transport of the Melbourne CBD, Aura on Flinders Serviced Apartments will ensure you make the most of the world’s most liveable city. 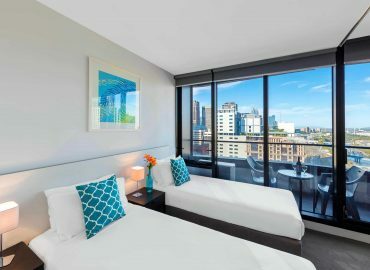 When it comes to Flinders Street hotels in Melbourne, we are definitely the obvious choice. Aura on Flinders is rated a Walker’s Paradise. Our Walk Score is 99 out of 100! A lovely new apartment building with great staff. Check-in process was a little complicated as you couldn’t enter the building without calling the staff to let you in as there was no reception. Room facilities were brand new and really nice. THE VIEW FROM THE 18th FLOOR WAS JUST BRILLIANT SPECIALLY THE 31st OF DECEMBER AT NIGHT WATCHING THE FIREWORKS WAS DEVINE!!!!!I. I WILL RECOMEND AND COME BACK TO THIS APARTMENT ANYTIME !!!!! A perfect location for exploring Melbourne. Stylish new apartment. Great service! !